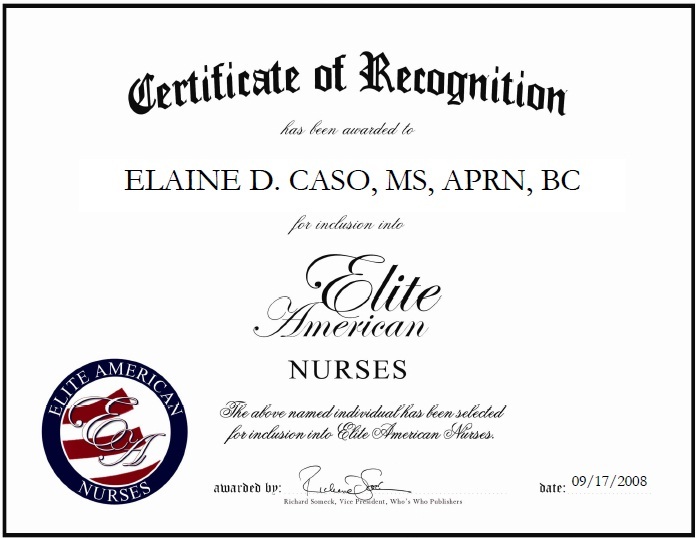 Elaine D. Caso, MS, APRN, BC serves as a nurse educator at Elmira College, and a nurse at Arnot Health. Specializing in medical-surgical nursing, community health and complementary health therapies instruction, therapeutic touch, Reiki, and healing hands and pranic therapy, Ms. Caso strives for excellence in her every endeavor. 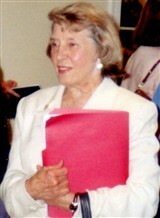 She teaches nursing studies and anthropology and trains nurses on non-western complementary health techniques at Elmira College, and teaches smoking cessation and cardiac risk reduction techniques at Arnot Health. Ms. Caso was honored as a Nurse of Distinction in the Finger Lakes Area by the New York State Senate, and she was granted with a Rotary Four-Way Award, and the Carolyn Britton Nurse Excellence Award for District Nurses, as well. This entry was posted in Nursing Education and tagged educating and training, education, nursing administration. Bookmark the permalink.